If you purchase a software product, you are entitled to do a lot more than what Microsoft would like you to. Their "End User Licence Agreement" or EULA, says you're not allowed to reverse engineer the software, modify it etc, but under most legal codes this is not enforacble as it is not backed up by law. In the United States, once you own a copy of a program, you can back it up, compile it, run it, and even modify it as necessary, without permission from the copyright holder. 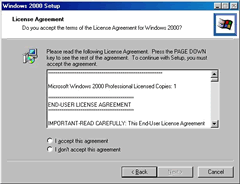 The problem with Microsoft’s license is that it’s unenforceable. You can simply ignore it. Microsoft can’t win a copyright infringement lawsuit: you own the software that Microsoft sold you, and Congress gave you the right to use it. The European Software Directive (adopted by the UK in 1992) gives users the freedom to copy, run, modify, and reverse-engineer lawfully acquired programs. Be interesting to see where Australia and Singapore / ASEAN fit into this.